""Today is my last day as Violet Lasting. Tomorrow I become Lot 197." The Jewel has been waiting on my Kindle for quite a while to read. I don't know why. When I first seen it up for review I knew I wanted to read it and that I would enjoy it. However, I just didn't read it straight away. And I am kicking myself! 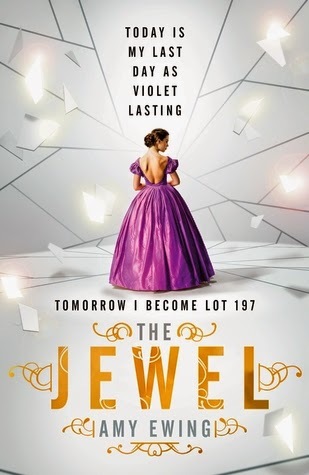 The Jewel is a very interesting and fast paced read that had me hooked and left me begging for more.